Photographer: Ishi. Model(s): Elena Melnik. Source: Vogue Netherlands. Stylist: Marije Goekoop. Makeup: Tatsu Yamanaka. Hair: Maxime Mace. 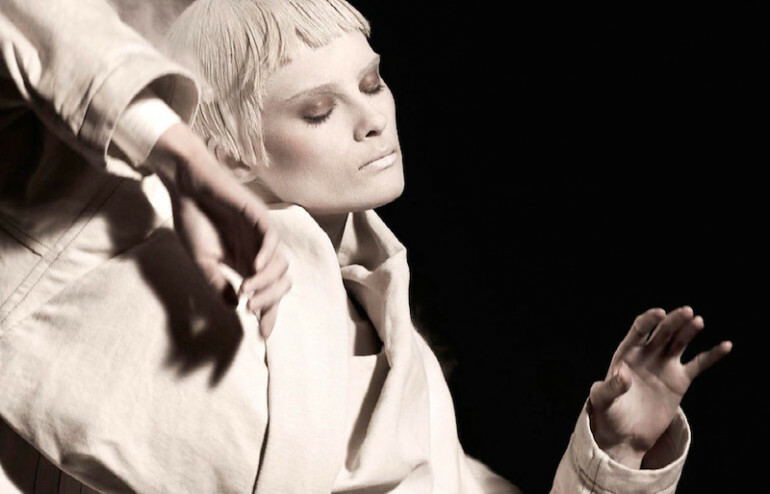 Elena Melnik is an ethereal angel in ‘Butoh’ by Ishi for Vogue Netherlands, May 2015. 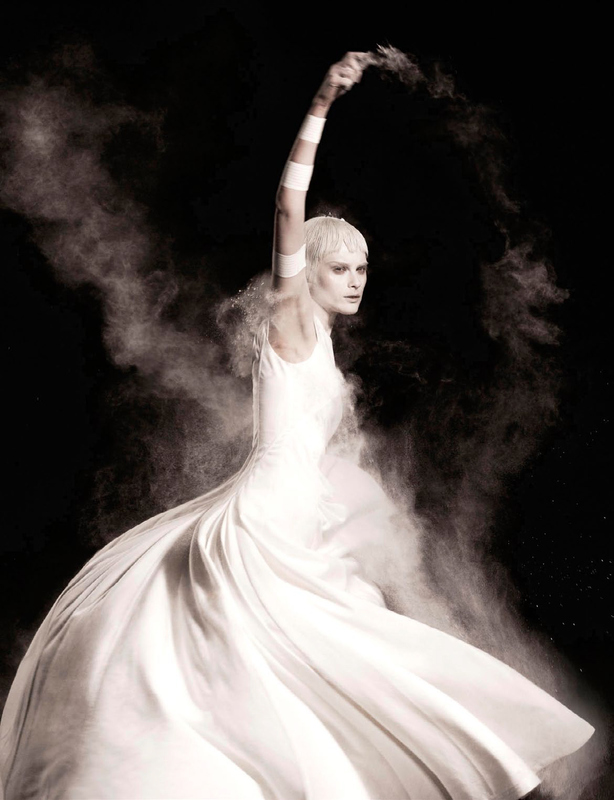 Dancing with delight, pale fabrics fly free as each image embraces life. 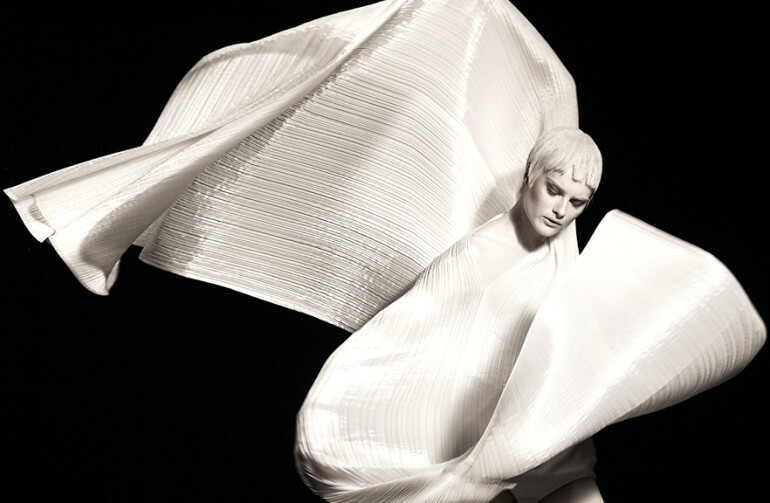 A Japanese piece that features powerful performers in white body paint. 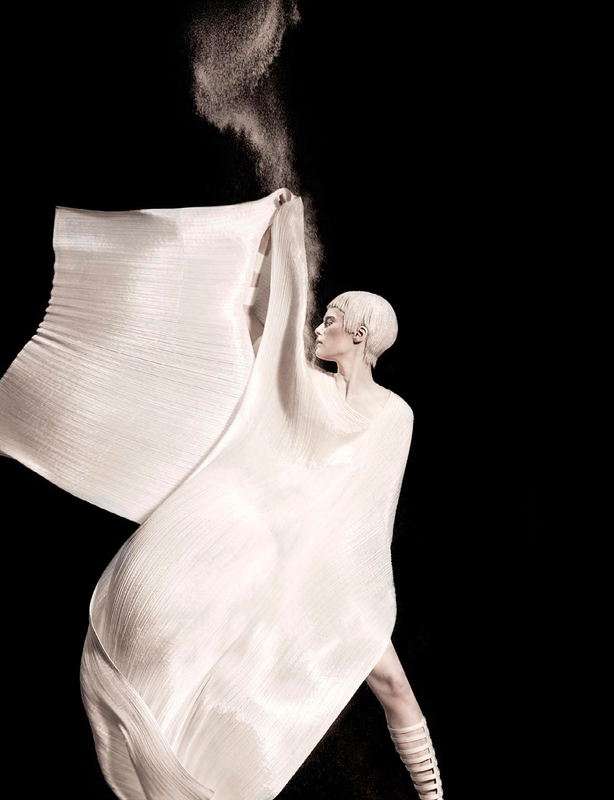 Long gowns catch the air as each shot invites a wistful sense of wonder. Elena explores another world where hope floats & time has no meaning. 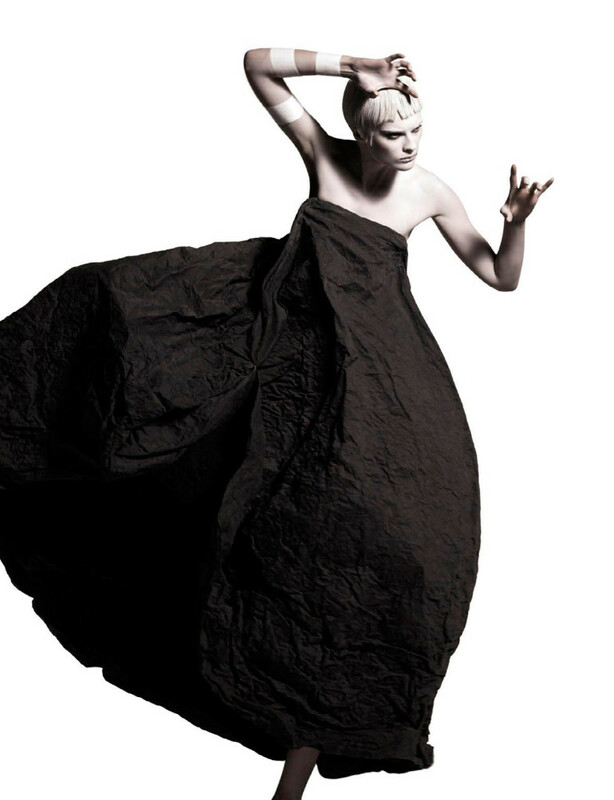 Wrapped in avant-garde excess. 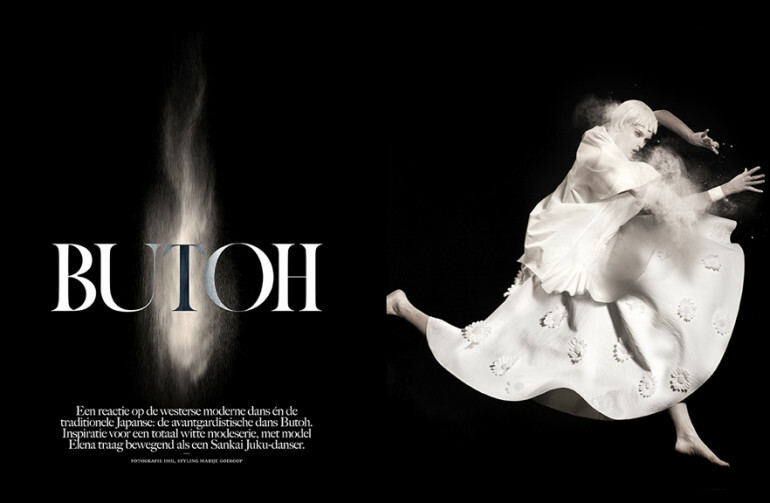 Stylist, Marije Goekoop, opts for all white designs, save for one billowing black number. The art of elegance seen in mid-flight the body tells a story of delight. To emote in movement is to embrace the spirit of strength. 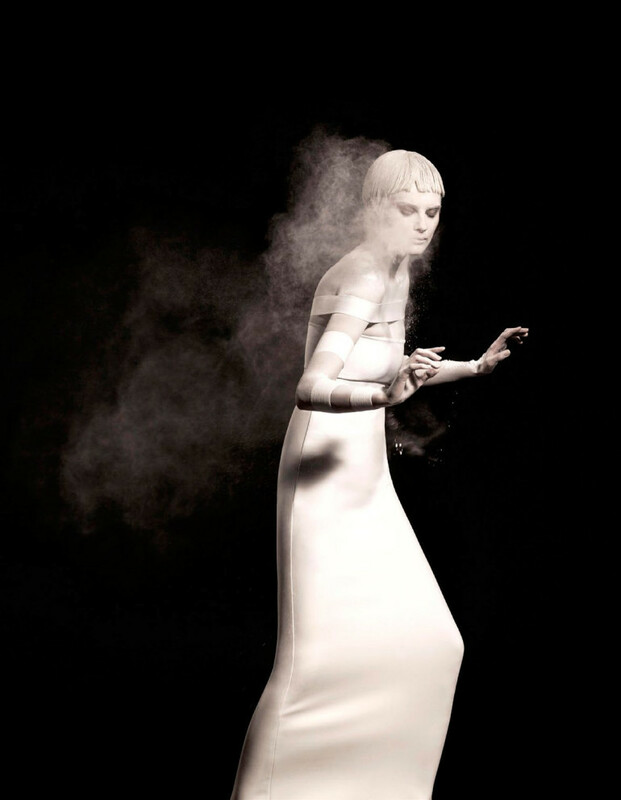 Masked in a ghostly pallor, (Makeup Artist) Tatsu Yamanaka invites an illusory essence with images that cast a spell. 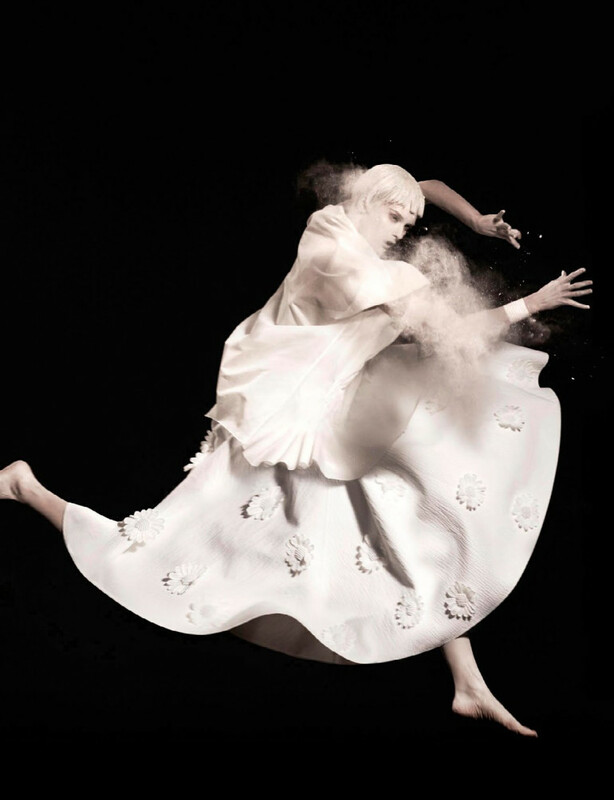 Other-worldly beauty explodes with silkened powder emanating off the skin. While a cloud of chaos erupts, leaving bronzed eyes and matching cheeks. 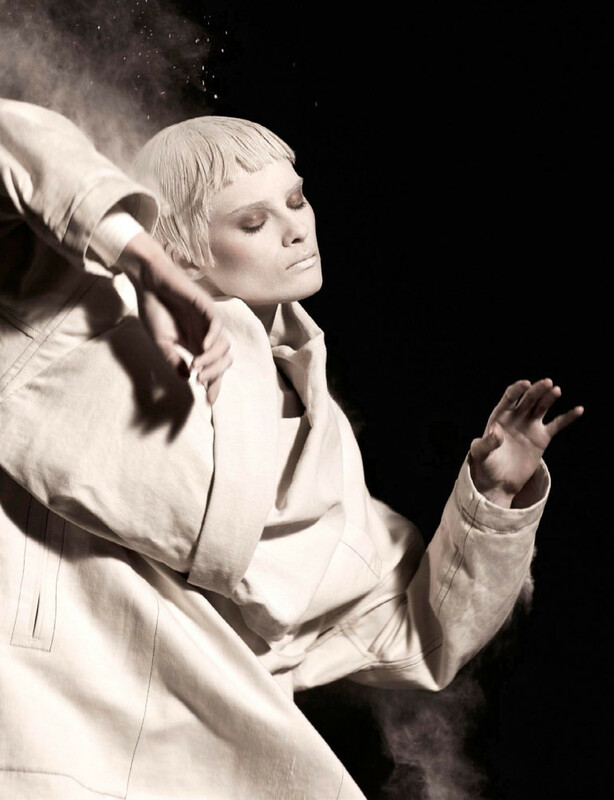 Choreography comes to blows in this dueling world of dark/light. 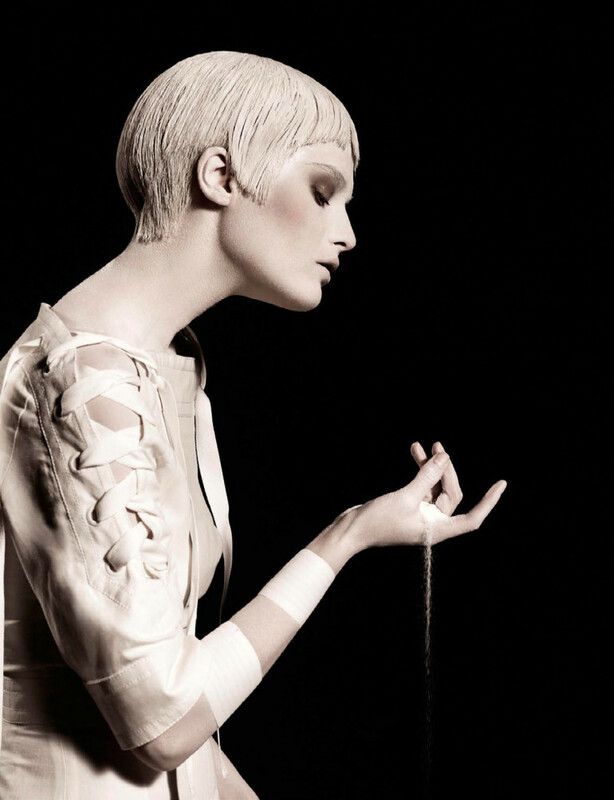 Hairstylist, Maxime Mace, creates cropped coiffure with aerodynamic edges cut into a bleached neo-pixi dew. Apparitions are unleashed in this celestial story of ethereal aspirations.